Veteran SEAL Chris Paladin is pulled back into CIA to stop a Russian spy who's kidnapped someone close to the White House. From Athens to London, it's sink or swim to rescue the hostage and stop an imminent attack in this pulse-pounding read. CIA's Max Wayne and his brother Tom hunt their prey in the snowy Alps, Vienna, and Berlin to seek justice for the death of a loved one. It's do-or-die to get payback and stop a deadlier attack before it reaches Times Square on New Year's Eve. But at what cost? SEAL Team Six's Chris Paladin and CIA spy Hannah Andrade turn a Syrian terrorist, but all hell breaks loose, and they'll need a miracle to survive. It’s better to go down the river with one stud than a hundred s***heads. Delta Force's Sonny "Sunshine" Cohen is inserted into Damascus to rescue a CIA man, and Sonny will have to fight for both of their lives. Join Steve for some of the toughest military training in the world. A "hard-hitting, humorous, and heart-filled" account from his BUD/S journal—another bestseller. When the Navy sends their elite, they send the SEALs. When the SEALs send their elite, they send SEAL Team Six. An unforgettable memoir. Winner of Young Adult Library Services Association's (YALSA) Quick Picks for Reluctant Readers. Popular with children 12 and older, this is the Young Adult version of bestseller SEAL Team Six. Alex Brandenburg disobeys orders. "Pancho" Rodriguez and John Landry are vigilantes. Their mission: dispatch seven international terrorists. Their status: expendable. Steve is a NYT, USA Today and international bestselling author, with the movie rights to one of his books purchased by Vin Diesel. His books have been translated into 13 languages, and he publishes with three of the Big 5 publishers: Simon and Schuster, Macmillan, and Hachette UK. 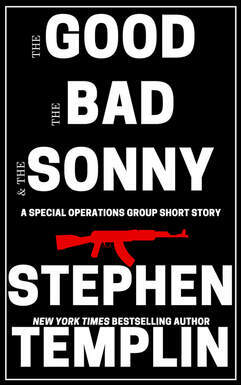 Steve's writing is "action packed...harrowing...adrenaline laced" (New York Times). He wasn't a SEAL, but he completed Hell Week, qualified as a pistol and rifle expert, blew up stuff, and practiced small-unit tactics during Basic Underwater Demolition/SEAL (BUD/S) training. Later, Steve became a missionary. Then for 14 years he lectured as a tenured professor at Meio University in Japan, where he trained in the martial art aikido. His PhD is in education, and he lives in the Dallas-Fort Worth area. Secretly, he's a dark chocolate thief. What if we stole the bell before Hell Week? When a Basic Underwater Demolition/SEAL (BUD/S) trainee has had enough, he's supposed to ring a bell to signal he’s quitting. More students drop out of training during Hell Week than any other time, but my class was determined not to lose a single classmate during the infamous week. Subscribe to my mailing list for a free copy of one of my bestselling books.